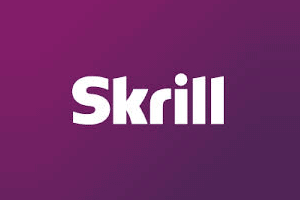 Skrill (or Moneybookers as it used to be known) is an international money transfer service, or E-wallet. It is a fast, simple, secure and cheap means of depositing cash onto your online bingo account. Being email based means that deposits and transfers are instant. Skrill has gained popularity over the past few years because of its versatility and low cost. Bingo players can use Skrill not just for bingo but for a large range of online payments and money transfers. For instance, if you hit a bingo jackpot, winning several thousand pounds it would only cost you a couple of pounds for an instant, transfer to your bank account. The security technology used by Skrill is the same as what you would expect from a bank. Account login, personal details and money transactions are safeguarded by the most modern security technology around: Secure Socket Layer (SSL) with 128bit encryption certified by Thawte. You can conduct your transactions in a wide range of currencies including Pounds, Euro and U.S. Dollar. Deposit limits for Skrill (Moneybookers) vary and it is always best to visit the cashier when you register an account with them to check the amount offered to you. Regardless to say that the more you use Skrill the more likely your deposit limits might increase. This international E-wallet is a great bet for secure online purchases and gaming without worrying about disclosing any bank or credit card information so make Skrill (Moneybookers) the method of payment in your online bingo account right now.